When Brendan Leonard moved to the West at age 23, he was a mess. He had a tenuous grip on sobriety, only six months after his last drink had landed him in yet another jail cell. It was the final mistake in a long list that included multiple arrests, wrecked cars, broken bones, fistfights, and ruined relationships. In Montana, he took his first steps into the Rocky Mountains, unwittingly beginning a decade-long obsession with climbing and a journey that would take him all over the West and Europe. 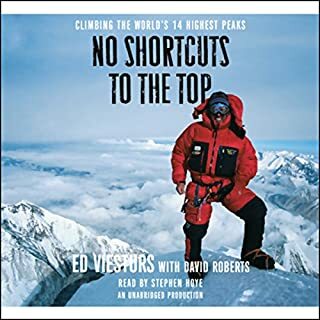 In this magisterial work of history and adventure, based on more than a decade of prodigious research in British, Canadian, and European archives, and months in the field in Nepal and Tibet, Wade Davis vividly re-creates British climbers’ epic attempts to scale Mount Everest in the early 1920s. With new access to letters and diaries, Davis recounts the heroic efforts of George Mallory and his fellow climbers to conquer the mountain in the face of treacherous terrain and furious weather. Steve House, world-class climber and Patagonia ambassador, and Scott Johnston, coach of US national champions and World Cup Nordic skiers, translate training theory into practice to allow you to coach yourself to any mountaineering goal. Applying training practices from other endurance sports, House and Johnston demonstrate that following a carefully designed regimen is as effective for alpinism as it is for any other endurance sport and leads to better performance. They deliver detailed instruction on how to plan and execute training tailored to your individual circumstances. A deeply reported insider perspective of Alex Honnold’s historic achievement and the culture and history of climbing. Synnott’s personal history of his own obsession with climbing since he was a teenager - through professional climbing triumphs and defeats and the dilemmas they render - makes this a deeply reported, enchanting revelation about living life to the fullest. What are we doing if not an impossible climb? The Impossible Climb is an emotional drama driven by people exploring the limits of human potential and seeking a perfect, choreographed dance with nature. Honnold dared far beyond the ordinary, beyond any climber in history. But this story of sublime heights is really about all of us. Who doesn’t need to face down fear and make the most of the time we have? This book could have been better if it contained more about Alex Honnold and less about the author. Alex Honnold was preparing for and performing one of the most significant climbs in history, a climb that seems to have transcended the sport itself. To chronicle this, Mr. Synnott fills a large portion of his book with a conglomeration of articles and talks from his past, as well as common rock climbing history already detailed in many other books and videos. 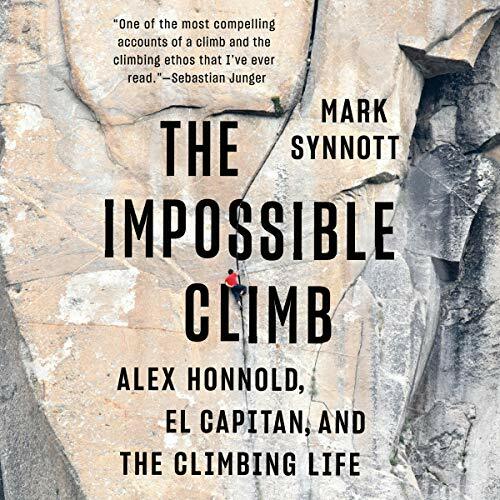 Although Mr. Synnott has pre-knowledge of the climb months in advance, and he has access to Alex before and after the climb, his writing about the climb in the last chapter seems shallow and adds little insight, especially if you have already seen the film. It really feels like a missed opportunity by the author, and it left me as a reader wanting more. The book should be called "Climbing Life"
The book is ok, but the title is misleading and simply clickbait. Mark Synnott writes more about other events in his life and the life of other climbers than he does Alex Honnold. Feels like the author is just trying to capitalize on Alex's current mainstream popularity. If this book was called "A climbers life" and looked at the lives of people who became world-class climbers it could have been a better book. a wonderful book for a complete climbing dunce. I didn't know the history of climbing so this book was neat. Like reading between the lines. This book was awesome. 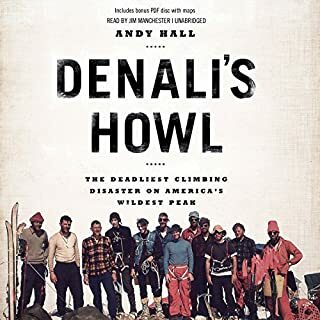 I have been reading and following many of the climber’s stories mentioned in this book for years. This was a fresh take on the climbing life, and also filled the little gaps in some of these more common stories. It makes the stories of histories great ascents seem so personal and funny. It lets you know that although these guys and gals are doing unfathomable things, they’re all just quirky normal humans like the rest of us. Mark is a great writer and story teller. I was sad when the book ended. Give it a read or a listen! An outstanding account of much more than just the free solo of El Cap that can be throroughly enjoyed by climbers and non climber alike! Super good book! Now watch the documentary free solo. Nail biting, edge of your seat, exciting content! I highly recommend this book! A well-written backstage look at Alex Honnold’s incredible journey and free solo climb of El Capitan intertwined with detailed history and personal climbing accounts from the author. This book flowed perfectly for me, and I felt I was sitting at a picnic table in Yosemite hearing the stories from a friend. 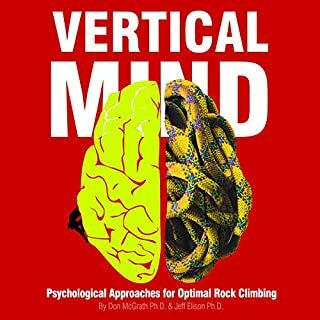 A must read/listen for any climbing enthusiast. 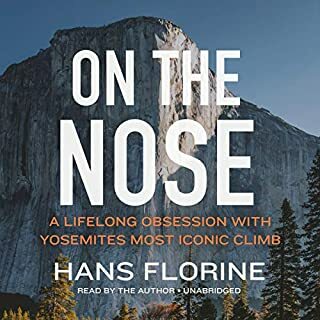 Readers have to understand that this book is a pinch of everything and not just solely focused on Honnold’s free solo of the Cap. That being said, it is well done! Great climbing stories. 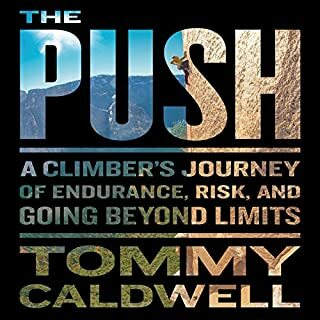 As a non climber this book appeals to everyone. I won’t spoil it but it also includes some things not seen in the movie. Great job Synnott! My copy of the book was late coming to me in the mail so I got the audio book to start. When my book came I alternated between reading the book at night, and listening to the book during the day. 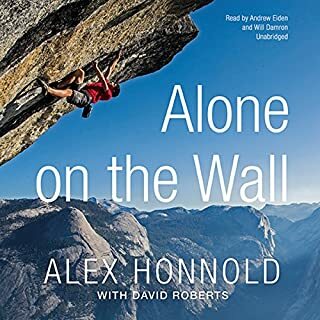 I really enjoyed the book: it gave great insight into the life of professional climbers through author Mark Synnott’s personal history, gave a rounded look at climbing history, climbing evolution, and ethos, and seamlessly wove in the story of Alex Honnold, his climbing life and his historic climb. Great performance by the narrator, Mark Deakins. I would highly recommend both the book and the audio book. I know very little about the climbing world, but found this fascinating. I by chance did a climb on Seneca Rock but I'm not a fan of heights. I am real big on outdoor activities though. I will listen to this audible again and even research some of the places mentioned for climbing in the book. Some of them sound like interesting places to visit. On my one climbing experience I will admit I was very charged up after the climb. I can see why this would be an addicting activity for those who really pursue it. I can also see where this is very similar to runner's High which I have experienced several times. very thought-provoking. highly recommend. author did a great job.